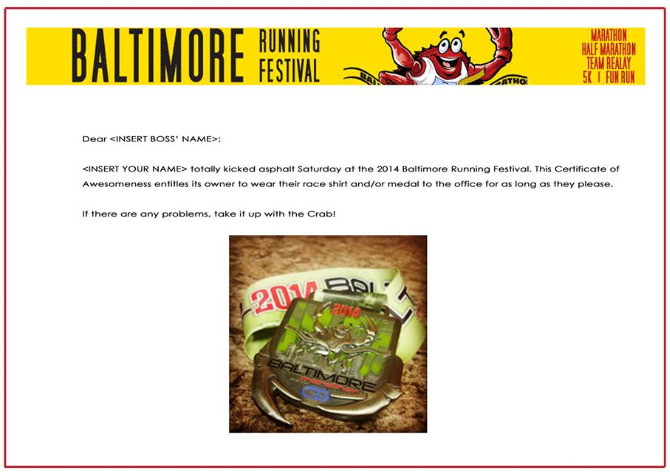 Registration is done online, on the Baltimore Running Festival website. Registration is quick and easy. The cost is somewhere around $80-$100 depending on when you sign up. Aside from the race gear, there are lot of other vendors at the expo who offer things like energy bars, running accessories, other races to sign up for, pain relief items and Under Armour even had their own station. 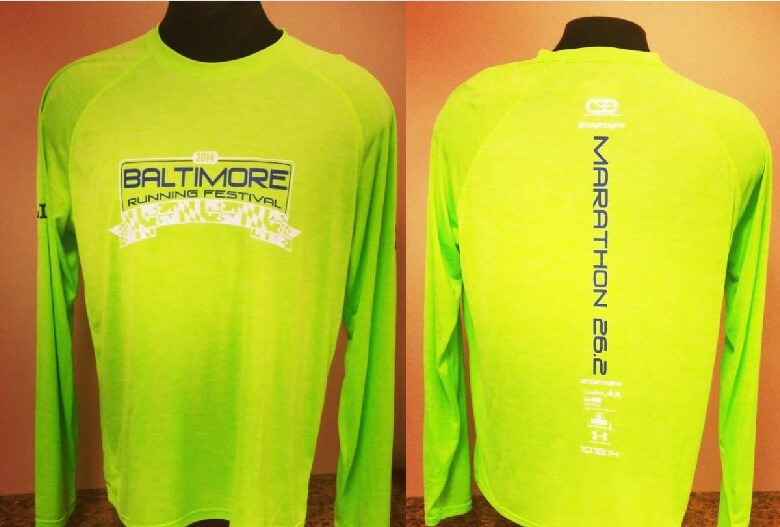 This year we received an Under Armour long sleeve tee for our race t-shirt. (I am actually sitting here writing this in my race shirt. I love it.) Below are pictures of the shirt. It is comfortable, they have men’s and women’s sizes, the color is bright (so you will not get hit by a car while out running), the design is beautiful and I REALLY love the ‘Marathon 26.2’ on the back. Aside from the shirt, not much else comes in your ‘race bag’ as you may call it. You do get a few free samples of LARABARS and tortilla chips. I absolutely love this course and you will too. If you have never been to Baltimore, this is the perfect way to explore the city. If you live here, you will still love this course. The route is beautiful and keeps you interested the entire way. The start of the race is located downtown near Oriole Park at Camden Yards (home of the 2014 American League East Champion Baltimore Orioles). The race takes you through so many different areas, from downtown regions, to west Baltimore, from good parts of town to the not so great parts, you get to see it all. Some of my favorite parts of the race – running through the Maryland Zoo, running down St. Paul Street to Light Street and seeing all the people by the harbor, running through Fed Hill along Key Highway and to Under Armour Headquarters (which is a really fun area, they have music, they welcome you to Under Armour, there is a lot of energy here), running through Harbor East, Fells Point, Canton square and Patterson Park, running by Johns Hopkins, and of course, my FAVORITE part, running down Eutaw Street, through the city, through Camden Yards to finish in the parking lot between Camden Yards and M&T Bank Stadium. I have run this course four years in a row and it NEVER gets old. I love the entire race and each time I run it, I find myself just looking around at everything around me. This course has to be the most interesting course I have run in my life. I absolutely love it and I promise you that you will too! Although this race is not the largest in the country, it definitely has GREAT participants. The race had around 2,700 marathon finishers, but they are not the only participants you will see along the way. 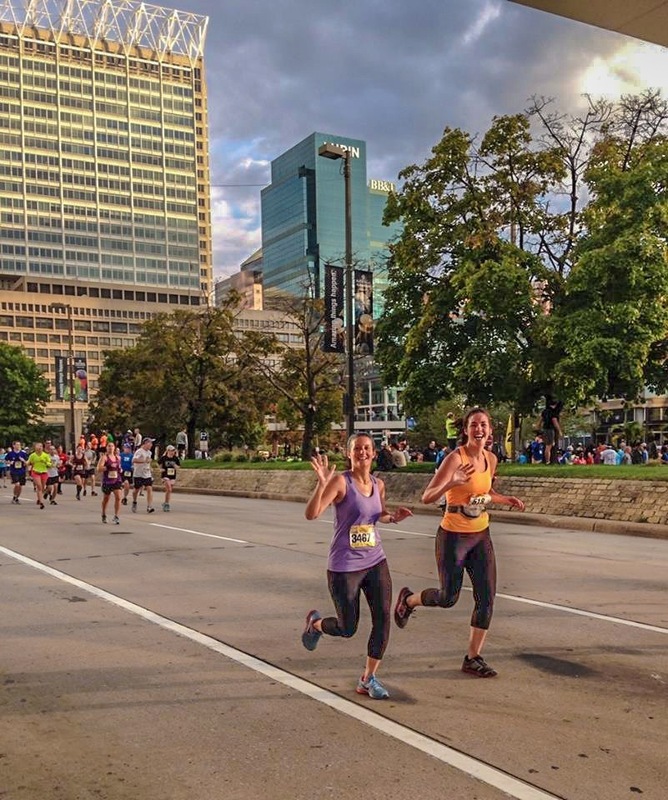 While running the marathon you will see individuals running the relay (four person teams) and half way through the race, you will have some newbies join you as the half marathoners finish the last ten miles with you. I love the people who participate in this race. Everyone is happy, friendly and encouraging. This is like no other race I have run. The race directors have ‘Full’ bibs that marathoners wear on their backs (see picture at top of the article). This makes a HUGE difference, especially when you start running with the half marathoners. I CANNOT tell you about the camaraderie amongst the runners in this race. At one point I stopped to stretch. A woman saw the ‘Full’ on my back and said, “What mile are you on, honey?” I told her it was mile 20. She told me, “You are doing great, come on, run with me, I will help you finish.” She was not the only one that helped me along the way, other half marathoners passing by would yell, “Full – you are doing great! Keep it up!” I had so many people running alongside of me, encouraging me, helping me along the way. It was like the nicest, most positive group of runners I have ever been around. Others that I loved along the course – “Run like you stole something” (always a favorite), “This is the worst parade ever” (that gets me every time), “Punch here for power”, and the huge hands to high five. This race has the best spectators! Thank you guys for coming out! The finish is equipped with racer’s blankets, water, chips, protein bars, bathrooms and a post-race party area where you can hang out, grab a beer and find your friends and family. I truly believe that this race sets itself apart from others for a number of reason. 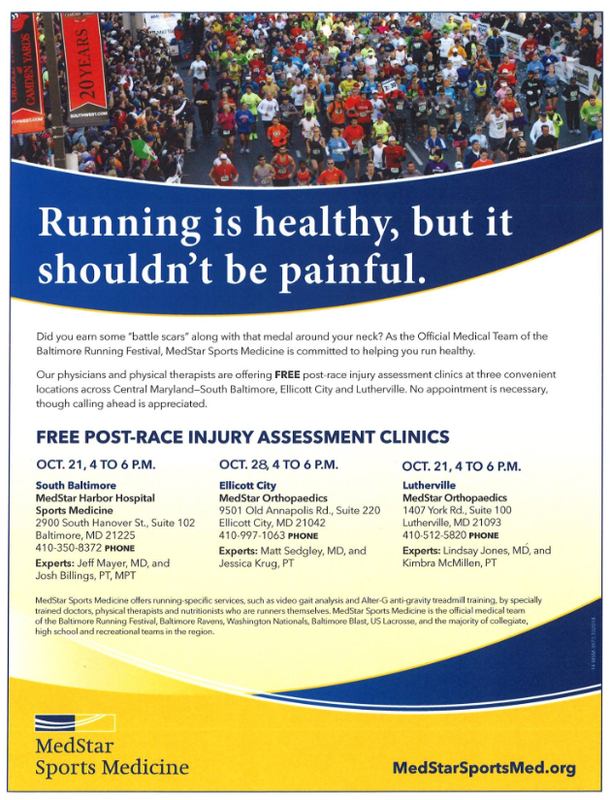 The race organizers create a community of runners by offering training runs, trips to Orioles games, Facebook interactions and post-race injury clinics. Let’s start with training runs. There are two long runs set up at 7AM on two Saturdays during your training. The first run is for marathoners and half-marathoners in training to get in 8-12 miles. The second run is three weeks before the race, and for those of you who follow training schedules this is your longest long run. Half-marathoners will run 10 miles and the marathoners will do 20. 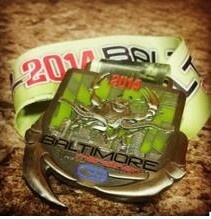 Each training race is $5 and the money was donated to BARCS, an animal shelter. The training runs are awesome! They set up really fun routes that take you on parts of the actual race course. 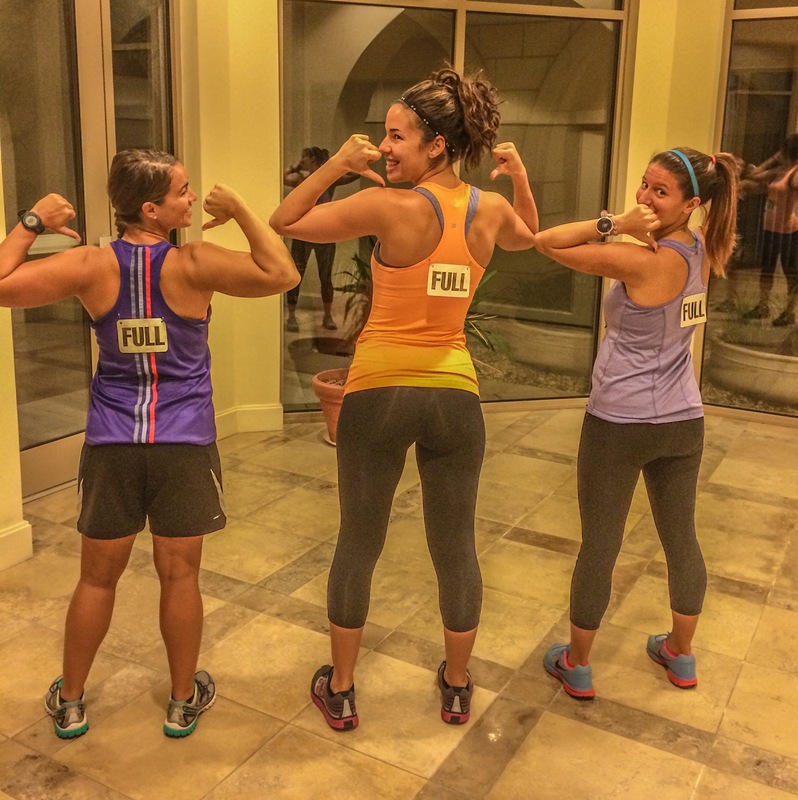 You can meet and run with other runners. There are water stops along the way that have Gatorade and other energy supplements as well. This really helped me get through my 20 mile training run. Another awesome thing that these guys do is set up a night at an Orioles game. 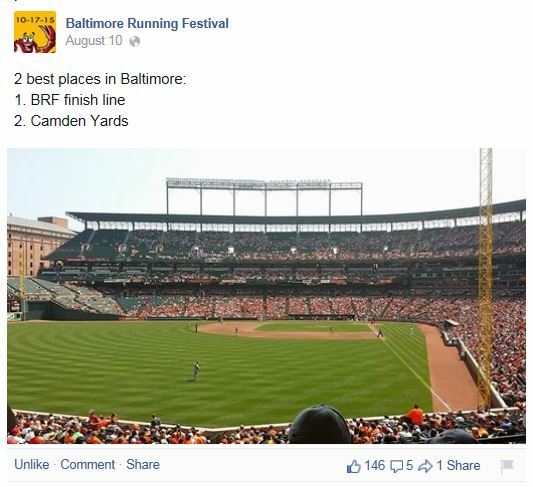 Runners can purchase discounted tickets for the Baltimore Running Festival night at the ballpark. For wearing race gear to the game, you can stop at a table that is set up there and pick up a special gift. This year they also had a drawing for baseball autographed by O’s star Chris Davis. To sum this race up in one word, I would have to say it is AWESOME! I encourage anyone thinking about running a marathon or even a half marathon to participate in this race. If you have any questions regarding this race, feel free to ask in the comment section below! 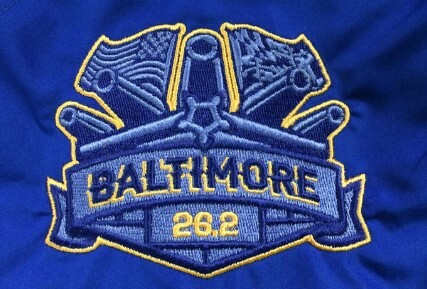 To sign up for next years Baltimore Marathon, which will be held on October 17, 2015, click here.